5 years ago I took the plane from Australia to Germany and watched “Letters to Juliet” on the plane - a Hollywood love movie based in Italy. 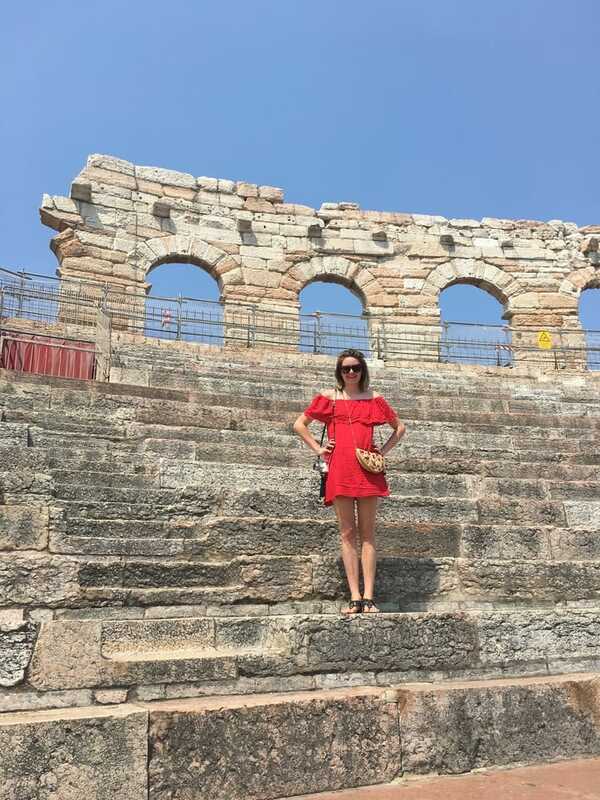 On that day I decided to go to Verona that summer - turned out I didn’t. Years passed by and it was still on my bucket list. 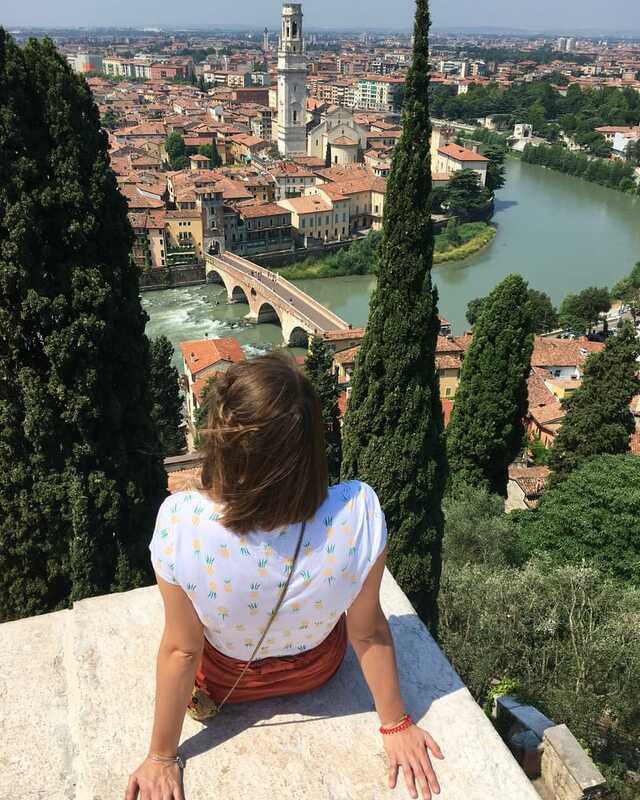 This summer I finally took the plunge and booked flights - here I am, currently sitting in beautiful Verona and drinking an ice-cold Aperol Spritz. 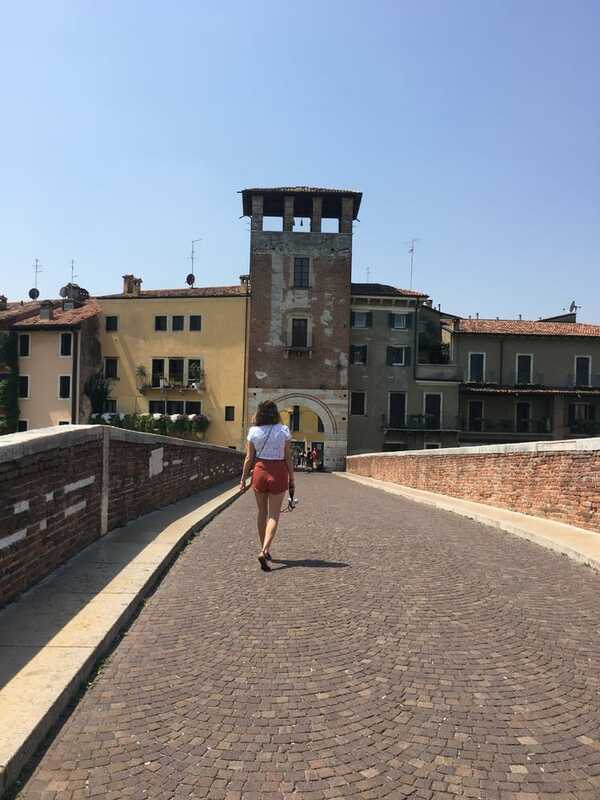 Verona, located between Venice and the famous Lake Garda, is a small town with an admired background - the love story between Romeo and Julia. 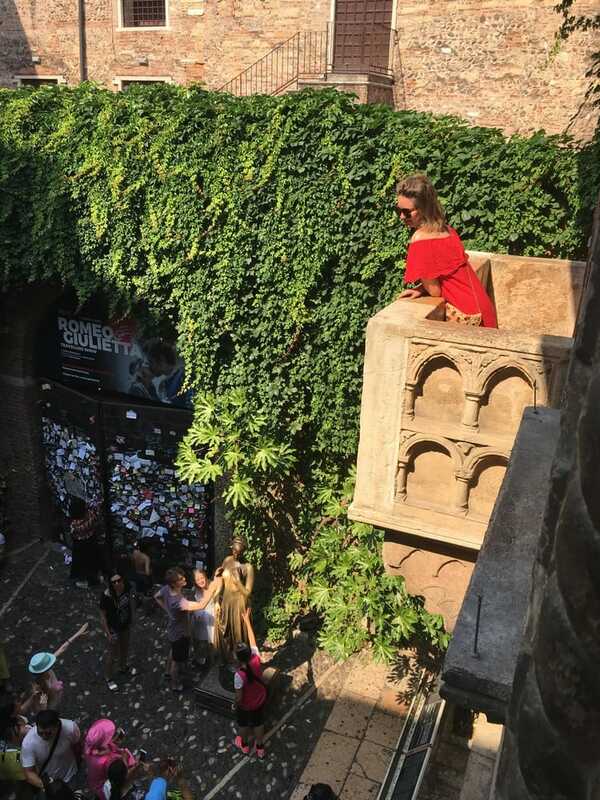 Millions of tourists make their way to Verona every year to see the famous balcony of Juliet - also known as Guilietta in Italy. But there are other reason to come to Verona too. 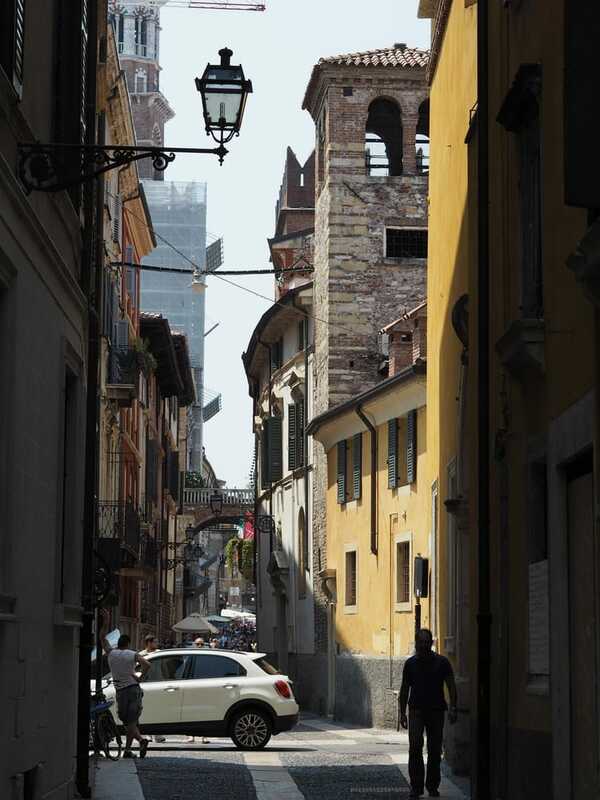 Here is a list on what to do in Verona. 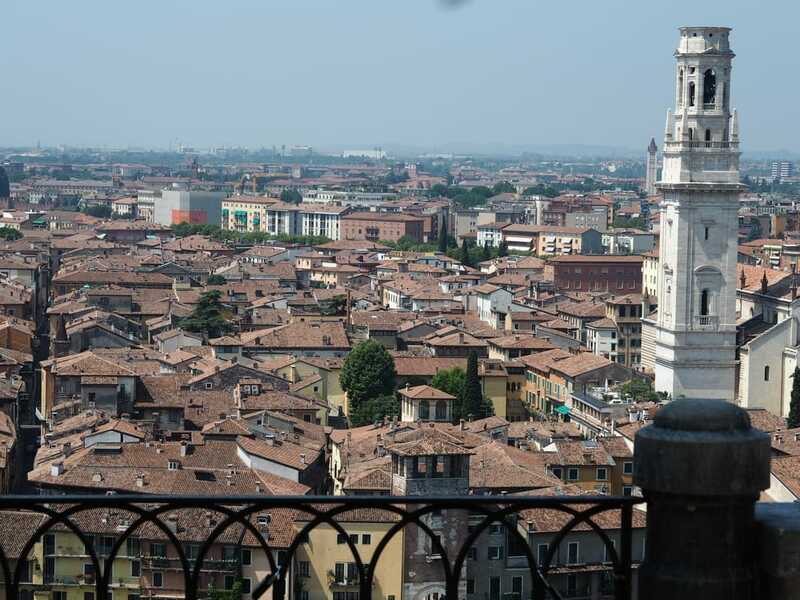 Hike up the stairs to Piazalle Castel San Pietro, a view point to see Verona from the top for FREE. If you feel thirsty and hungry from the little hike, you can stop along the stairs at a small but fancy restaurant. 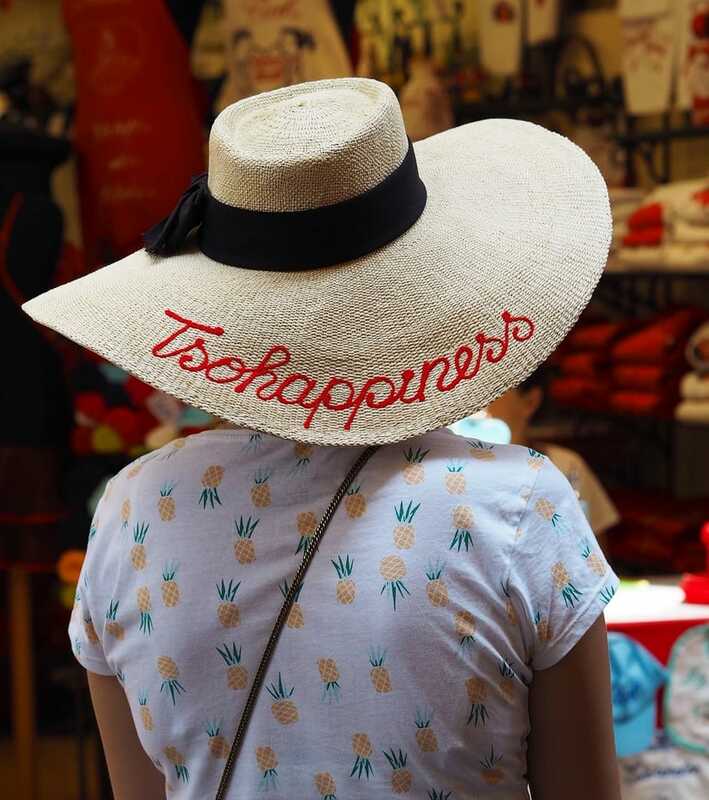 Prices are about 30% more than in town. You pay for the location. 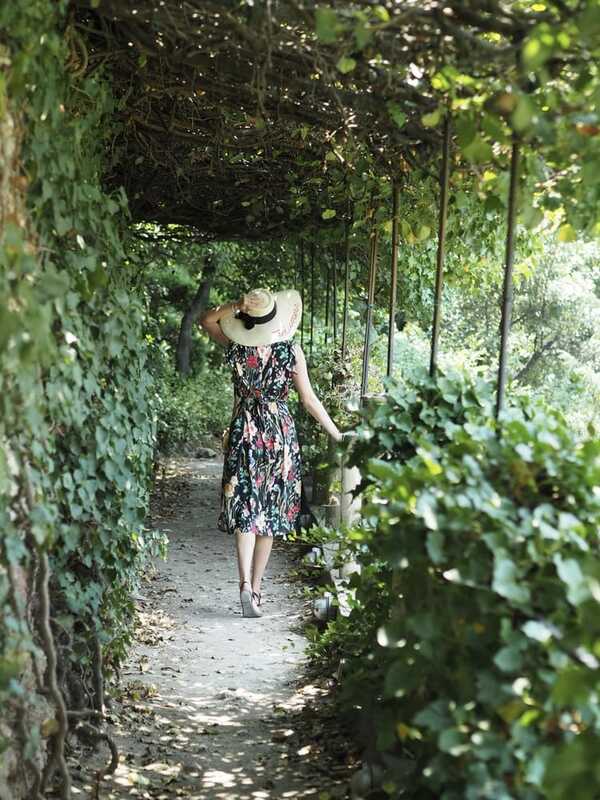 8,50€ entry get you into the beautiful park and palace of Giardino Giusti . 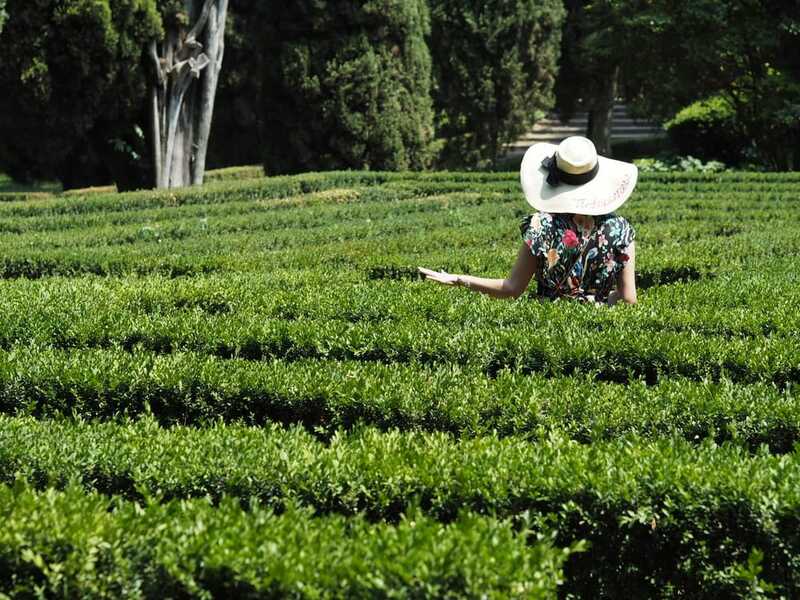 Pack lunch and enjoy views over town and garden from the top of the park or get lost in the garden maze. 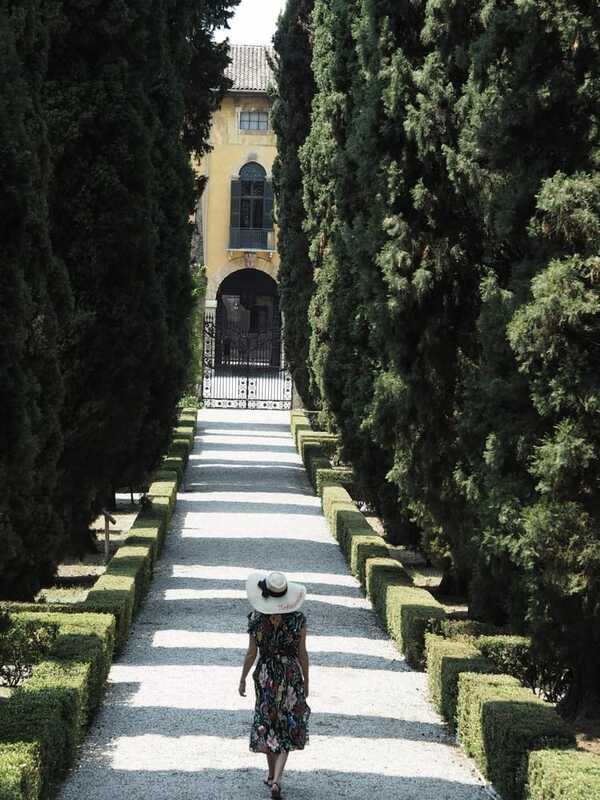 Great place to hide under a tree in the heat of sunny Verona. Don't forget to stop in the palace on your way out. 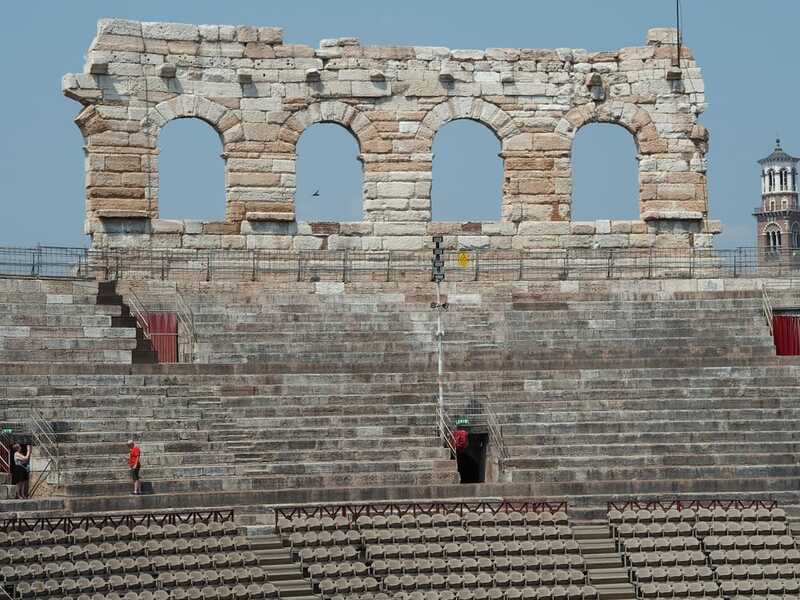 Visit the arena of Verona on either a day ticket (10€) or enjoy a opera from June to August in this unique place. Make sure you book accommodation in time as the town gets especially busy during opera concert dates. The plastic seats inside the arena seem useful for the concerts but make it less historically looking for a visit on non opera days. 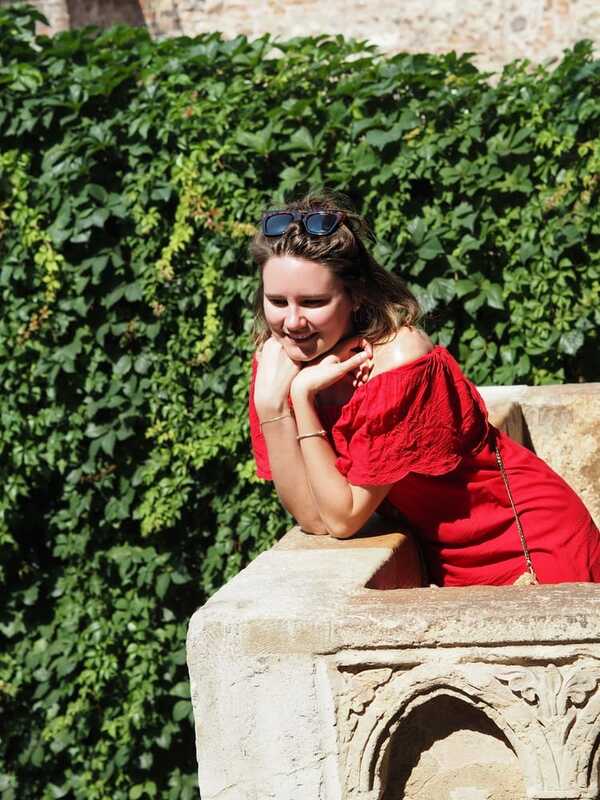 Obviously a trip to Verona isn't completed without visiting the balcony of Romeo and Julia. I can say I was slightly disappointed though. The walls of the backyard area were covered in permanent makers, bandages -who started that stupid idea? !- and used bubble gums -GROSS! !- along the trees. 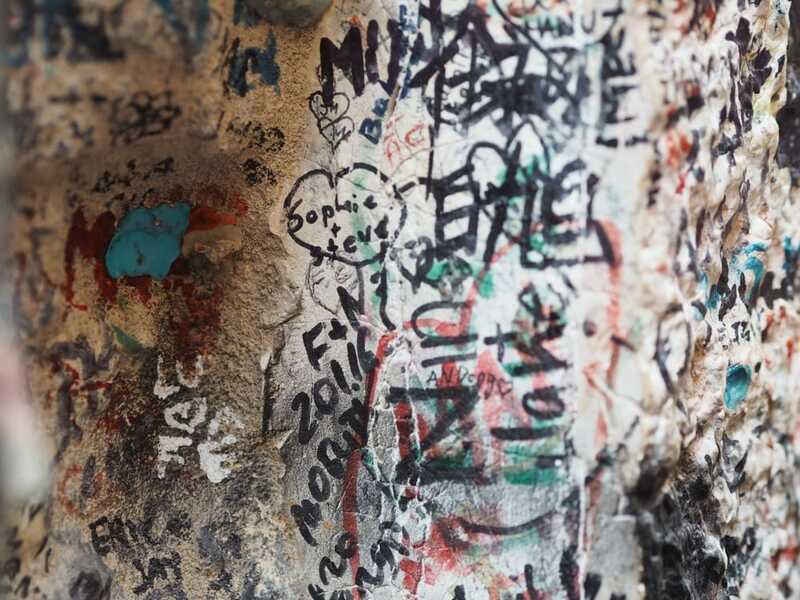 A wall with love logs like in Paris can be found too. 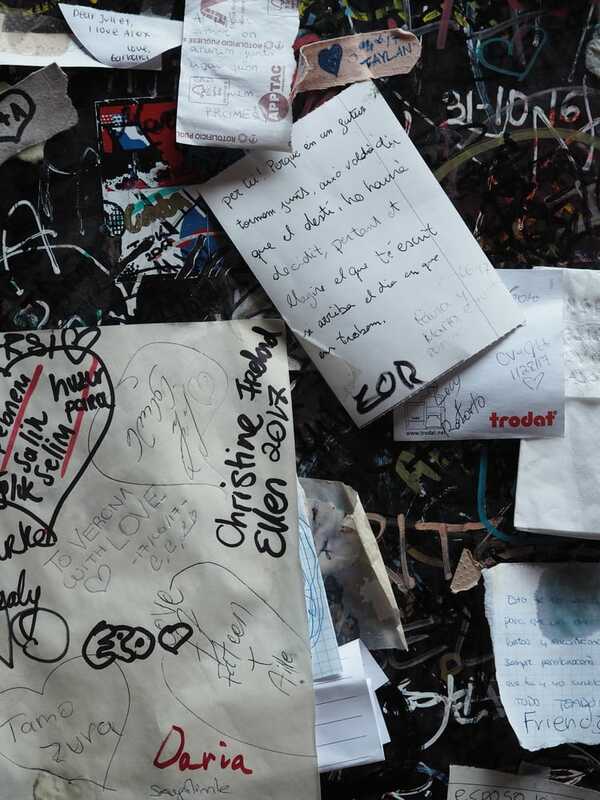 I expected handwritten letters along the walls, collected every night. Maybe next time I don’t decide on my destinations based on Hollywood movies. For 6€ you can escape the crowd into the ‘Casa di Giulietta’ as most seem not want to spend the money. Inside you can write a email to Juliet -still waiting for my reply- and stand on the balcony calling your Romeo in the courtyard. 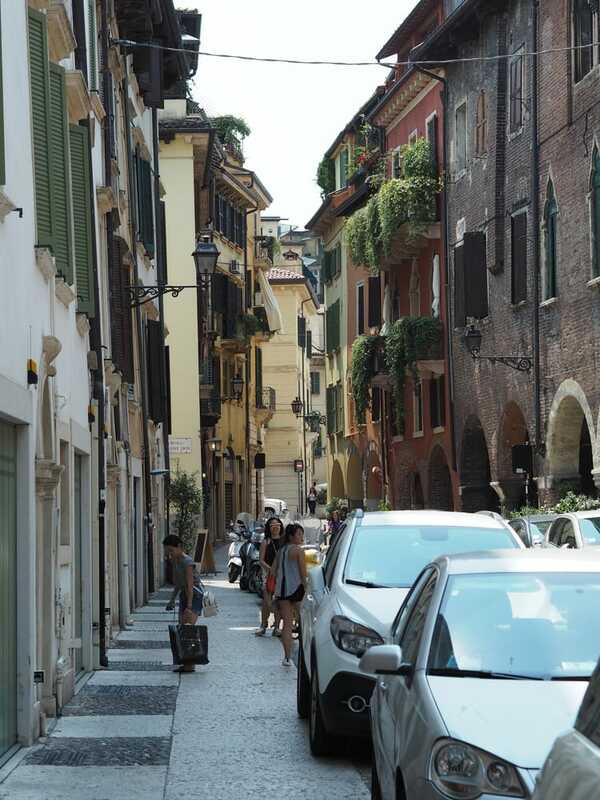 The historic and touristy part of Verona is small, yet have many side streets who are worth it to explore. I found many local bars -which were great for breaks of Aperol Spritz and olives-, bakeries and cafe’s along the way. Don’t worry about getting lost as you'll always end up on one of their shopping streets around the arena at some point.